Okay, so you’ve promised yourself that 2016 is the year that you’d get your act together. And I know, I know you kind of said the same thing last year but then freakshakes came along and that all went out the window quicker than you could say “Tella Ball” (guilty). And as the silly season becomes more and more of a distant memory, my my that left over pavlova looks mighty fine for breakfast (I mean there’s fruit in that, right?). But stop! Curb your sugar pangs with this super easy, super delish chia pudding recipe helpfully provided by Three Blue Ducks boys (AKA wellness gurus)—because anything with pudding in its name is already halfway to becoming a dessert, amirite? Seriously this ultra tasty recipe is as easy as growing sea monkeys. Put simply place the ingredients in a jar and just add (coconut) water. Decorate with your choice of toppings and voila! You’re basically winning at life. Come on, let’s make that new year’s resolution stick this time! For this recipe, you will need a 1-litre glass jar with a lid. Add the chia seeds, coconut water and flesh, and berries to the jar and mix. It will be quite a grainy and gooey mix to start with, but don’t worry, the chia seeds will draw a lot of moisture out of the berries and it will thicken and become more gelatinous. Put on the lid and refrigerate overnight. In the morning, stir the yoghurt through the mix. If it’s a bit dry or a bit too gooey, stir through a little more yoghurt until you reach your desired consistency. Serve in breakfast bowls with some sesame seeds, roasted almonds, hazelnuts, pumpkin seeds or any other seeds and nuts that you like. Drizzle over some honey (or add some honeycomb), scatter over a couple of berries and serve. 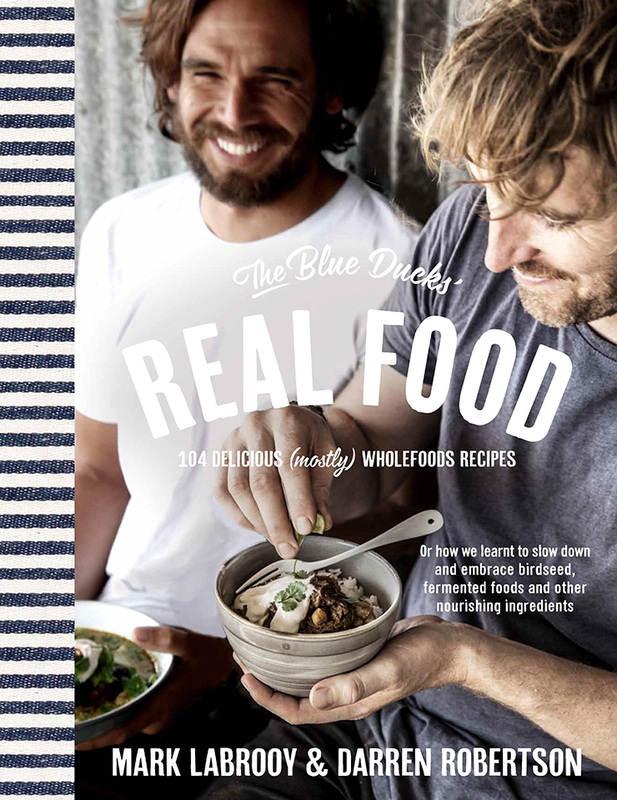 Recipe from The Blue Ducks’ Real Food by Mark LaBrooy and Darren Robertson. Available now, Plum, RRP $39.99. On the other end of the spectrum, try out this decadent banoffee recipe.